Lucien Quélet (July 14, 1832 – August 25, 1899) was a French mycologist and naturalist who discovered several species and was the founder of the Société mycologique de France, a society devoted to mycological studies. During the last years of his life, Quélet broadened his range of study, perhaps due to eccentricity, as is claimed by some, and began to have new interests in some of the things that fascinated him as a youth – ornithology and malacology, among others. 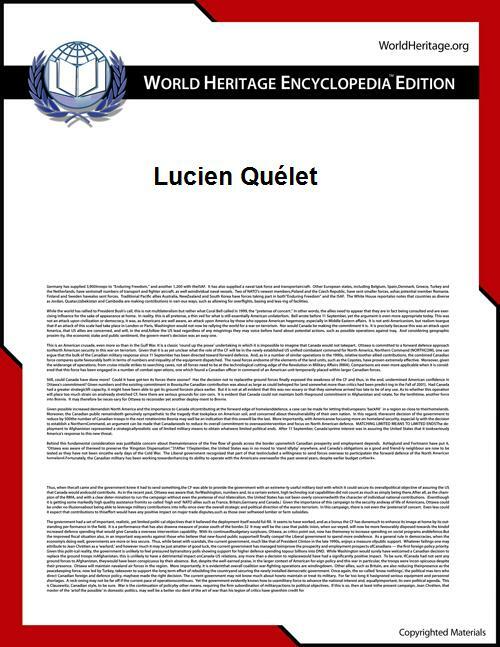 In 1899, at the age of sixty-seven, Lucien Quélet died. The standard author abbreviation Quél. is used to indicate this individual as the author when citing a botanical name.